Rujm Jerida is located on a hilltop, 596 m above sea level, in the southwestern Hebron Hills, c. 1 km south of Khirbet ‘Anab el-Kebir and c. 2 km southeast of Eshkolot. It was noted by D. C. Baramki in 1942, M. Kochavi in 1967, and Z. Safrai in the early 1980s. 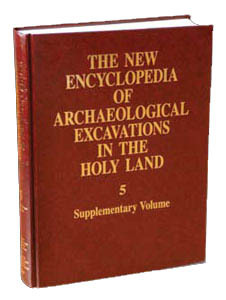 Excavations were carried out at the site in 1997 by Y. Magen, Y. Peleg, and I. Sharukh on behalf of the Staff Officer for Archaeology in Judea and Samaria. Four phases of occupation were found at the site, which measures 32 by 27 m. The first is dated to the fourth century CE, when a tower was constructed above a natural cave; the second to the sixth century CE, when a large farmhouse was erected around the fortified tower. Later in the sixth century the farmhouse became a monastery or a farmhouse inhabited by Christians. During the fourth phase, in the Early Islamic period (the seventh to ninth centuries ce), changes were made to the building and an olive-oil press was added.